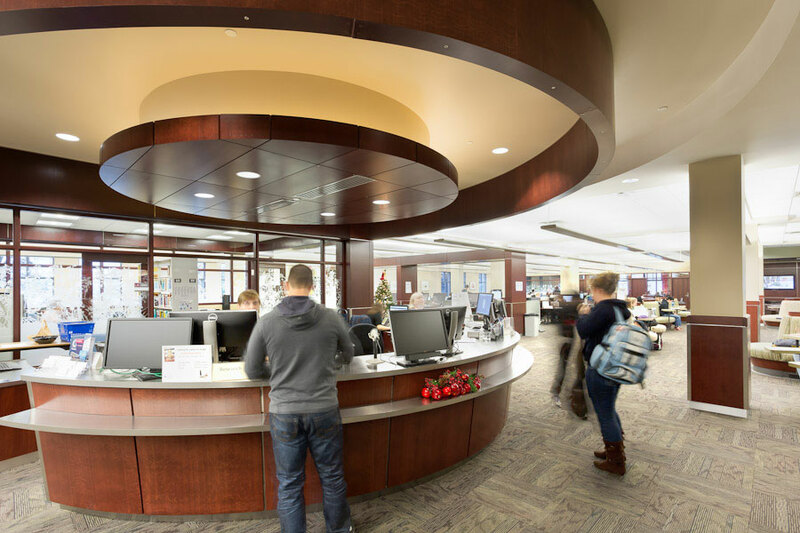 Meiklejohn Architects worked with the UBCO Library staff to develop a two-phase design solution to meet the needs of a growing student population. 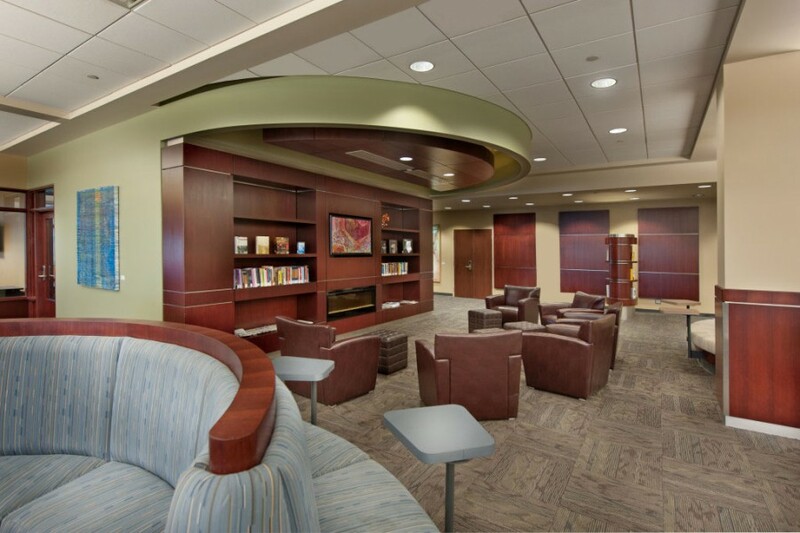 In phase one several staff offices on level 1 were relocated to a renovated open work area on level 2, and a new staff kitchen was added. 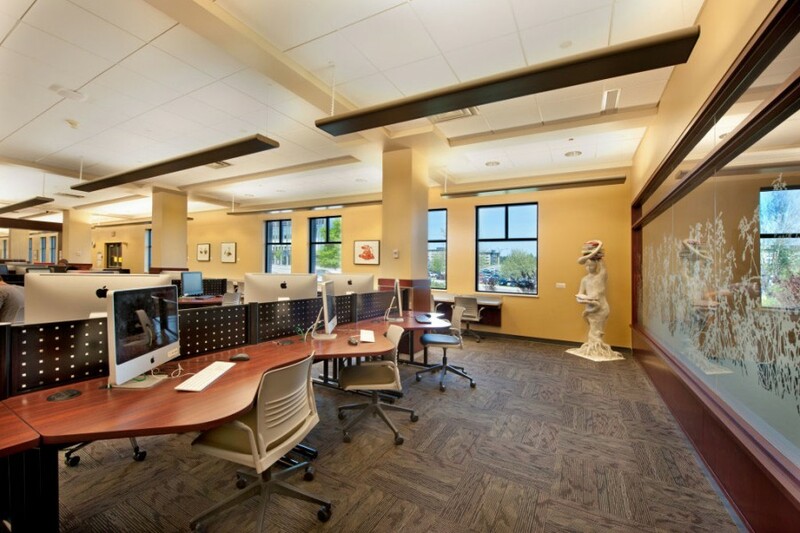 The 16,000-square-foot level 1 floor plan was then entirely re-planned to accommodate the emerging need for more open and group-focused study spaces. 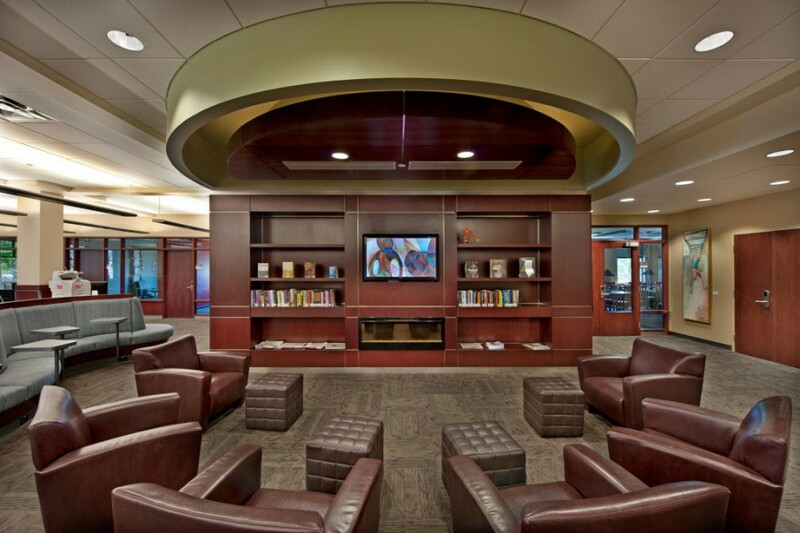 With a main service desk as central anchor, the new plan introduced clear, intuitive circulation routes, natural lighting, and built-in features such as a quiet fireside study corner. 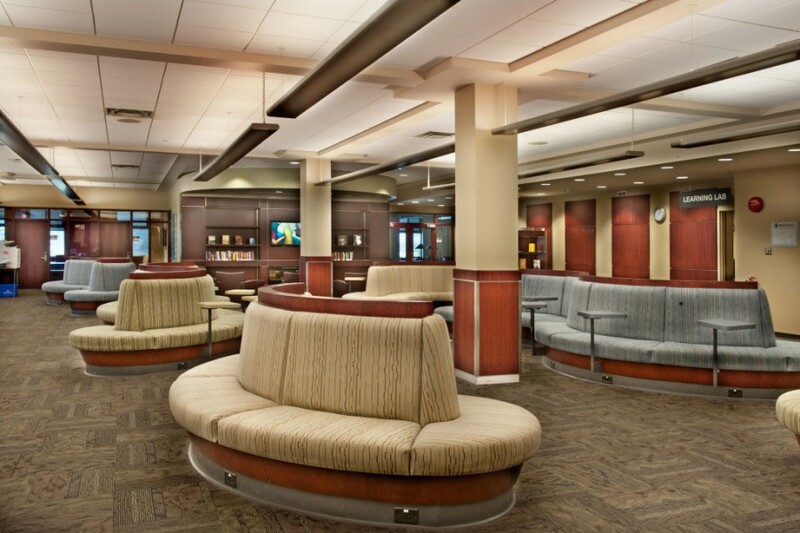 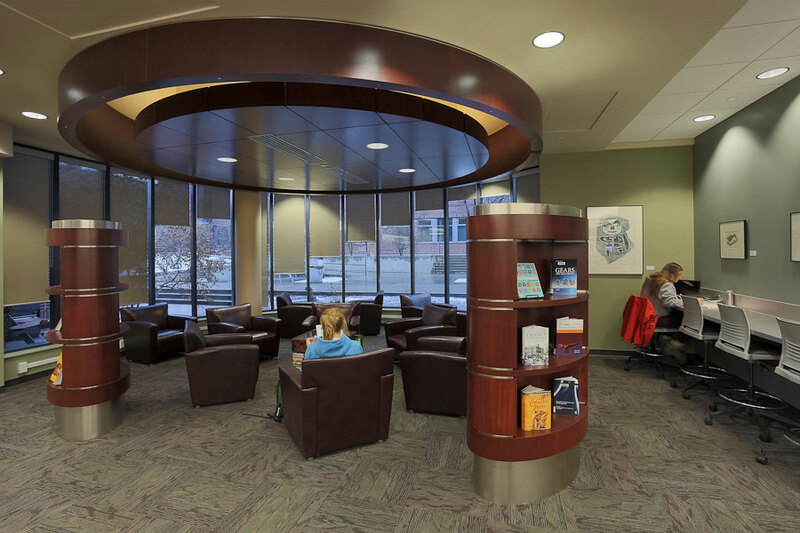 Seating capacity was doubled by adding curved “Ogo” couches with swivel tablets, wavy media desks, and a long north-facing digital study counter, while the amount of print material in stacks was reduced by half.